The Canton of Aargau (German Aargau ; rarely anglicized Argovia; see also other names) is one of the more northerly cantons of Switzerland. It is situated by the lower course of the River Aare, which is why the canton is called Aar-gau (meaning Aare province). It is one of the most densely populated regions of Switzerland. 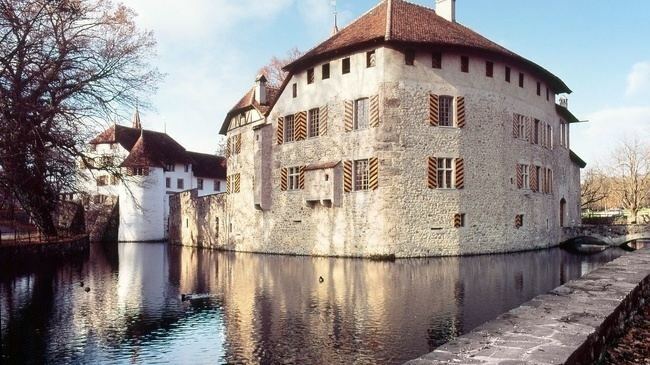 The capital of the canton is Aarau, which is located on its western border, on the River Aare. The canton borders Germany to the north, the Rhine forming the border. To the west lie the Swiss cantons of Basel-Landschaft, Solothurn and Bern; the canton of Lucerne lies south, and Zürich and Zug to the east. Its total area is 1,404 square kilometers (542 sq mi). It contains both large rivers, the Aare River and the Reuss River.